This story was updated at 11:42 p.m. ET. The planet-killing Death Star may have been the ultimate weapon for the Empire in the "Star Wars" films, but it has no place in the United States military today, a White House official said Friday (Jan. 11). The statement, an official response a petition to begin building a real-life Death Star by 2016 on the White House's We the People website, said President Barack Obama's Administration cannot support building the science fiction weapon for several down-to-Earth reasons. "The Administration shares your desire for job creation and a strong national defense, but a Death Star isn't on the horizon," wrote Paul Shawcross, chief of the Science and Space Branch at the White House's Office of Management and Budget. The Death Star petition, posted in the November, was signed by 34,435 people and the White House has pledged to respond to any petitions that garner 25,000 signatures in 30 days. Not the least of the hurdles for a real-life Death Star is the space construction costs, which Shawcross said has been estimated at $850 quadrillion (that's $850,000,000,000,000,000). The White House is trying to reduce the deficit, not expand it, he wrote. Then there's the Death Star's planet-destroying warship nature. "The Administration does not support blowing up planets," Shawcross wrote. And of course, there's the fact that Luke Skywalker destroyed the first Death Star with a single X-wing fighter. "Why would we spend countless taxpayer dollars on a Death Star with a fundamental flaw that could be exploited by a one-man starship?" Shawcross explained. Last year, astronomers with the agency's planet-hunting Kepler space telescope also announced that they found a real-life version of Tatooine, Luke's home planet with two suns. NASA also plans to send astronauts where no one has gone before — an asteroid — by 2025, and then take aim a manned trip to Mars in the 2030s. And Shawcross also urged the public to go outside at night and look up. "However, look carefully (here's how) and you'll notice something already floating in the sky — that's no moon, it's a space station!" Shawcross wrote. "Yes, we already have a giant, football field-sized International Space Station in orbit around the Earth that's helping us learn how humans can live and thrive in space for long durations." The International Space Station is a $100 billion orbiting lab — a deal compared to the Death Star — and is currently home to a six-man crew representing the United States, Russia and Canada. Construction of the space station began in 1998 and today it is the largest manmade structure in space. It has the same living space as a five-bedroom house. The space station can appear so bright to observers on Earth that at times it rivals Venus, the brightest planet in the night sky. Two American astronauts (of NASA), three Russian cosmonauts and a Canadian astronaut currently live on the station. And Shawcross said there are other Star Wars technologies besides the Death Star that do have a place in today's society. 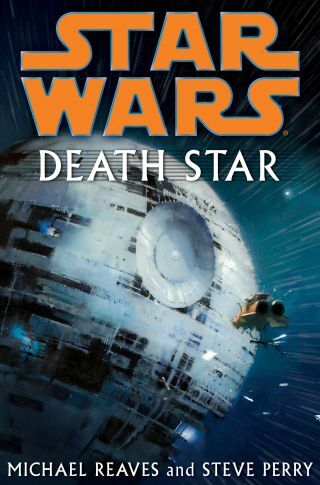 "We don't have a Death Star, but we do have floating robot assistants on the space station, a President who knows his way around a light saber and advanced (marshmallow) cannon, and the Defense Advanced Research Projects Agency, which is supporting research on building Luke's [robotic] arm, floating droids, and quadruped walkers," Shawcross wrote. "We are living in the future!" Shawcross wrote. "Enjoy it. Or better yet, help build it by pursuing a career in a science, technology, engineering or math-related field." The Administration and NASA have both been working to spur interest in science, math, engineering and technology among students. "If you do pursue a career in a science, technology, engineering or math-related field, the Force will be with us!" Shawcross concluded. "Remember, the Death Star's power to destroy a planet, or even a whole star system, is insignificant next to the power of the Force." With the Death Star officially the table, there is another science fiction spaceship petition that could draw a White House response. Last month, an engineer writing as BTE Dan launched a petition to build a real-life Starship Enterprise from the "Star Trek" TV series. So far, 5,973 have signed the petition, so it still has a ways to go to prompt a White House response. The petition's deadline is Jan. 21. Editor's note: This story was updated to correct the number of signatures on the petition to build a Starship Enterprise. The correct number of petition signatures to date is 5,973.